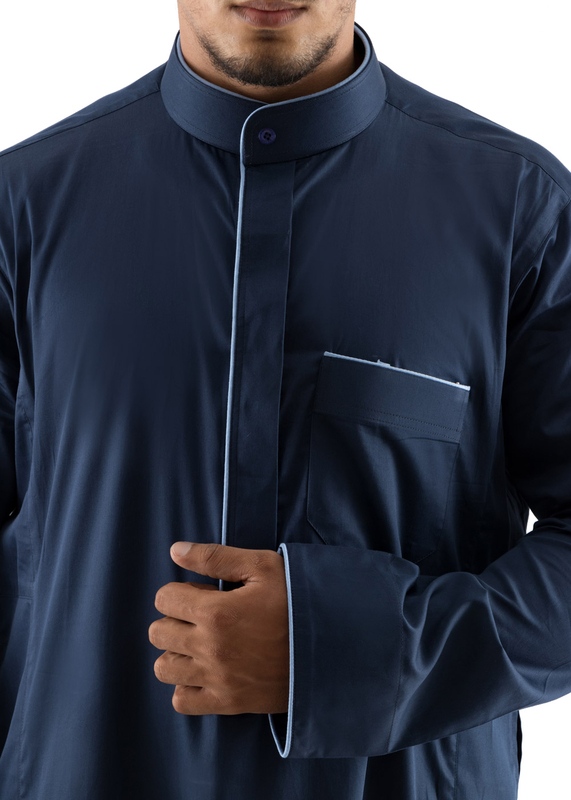 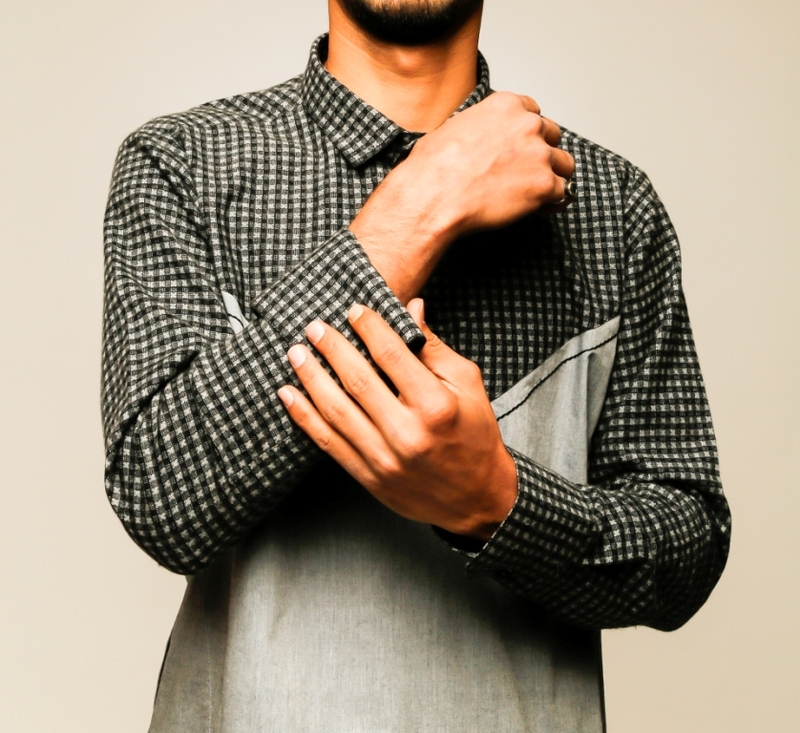 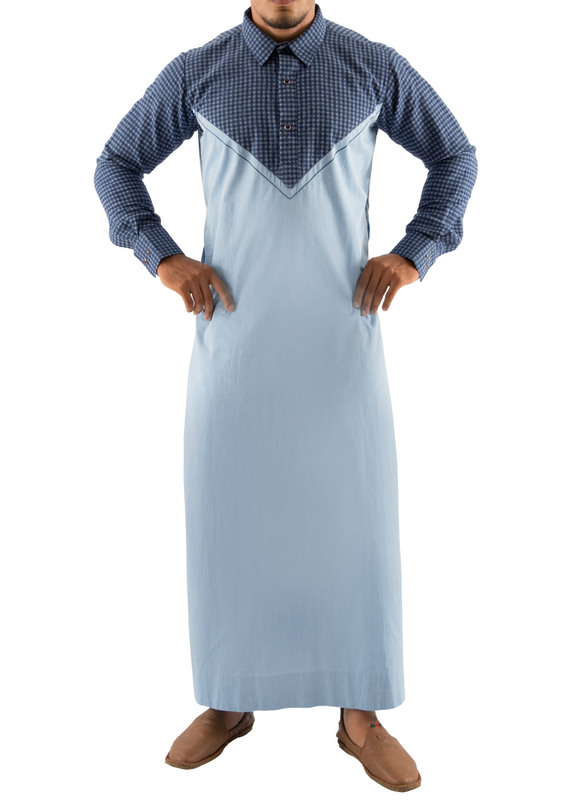 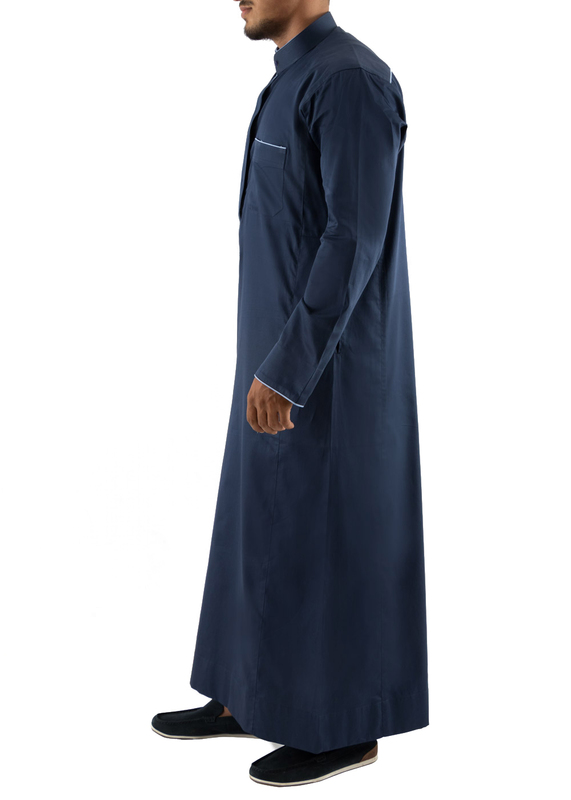 Ashfak thobe is a neat navy blue design, with sky-blue detailing, that is both classy and casual. 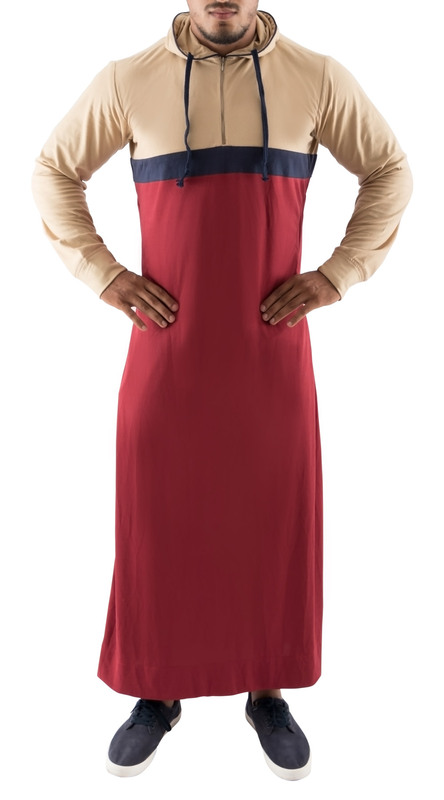 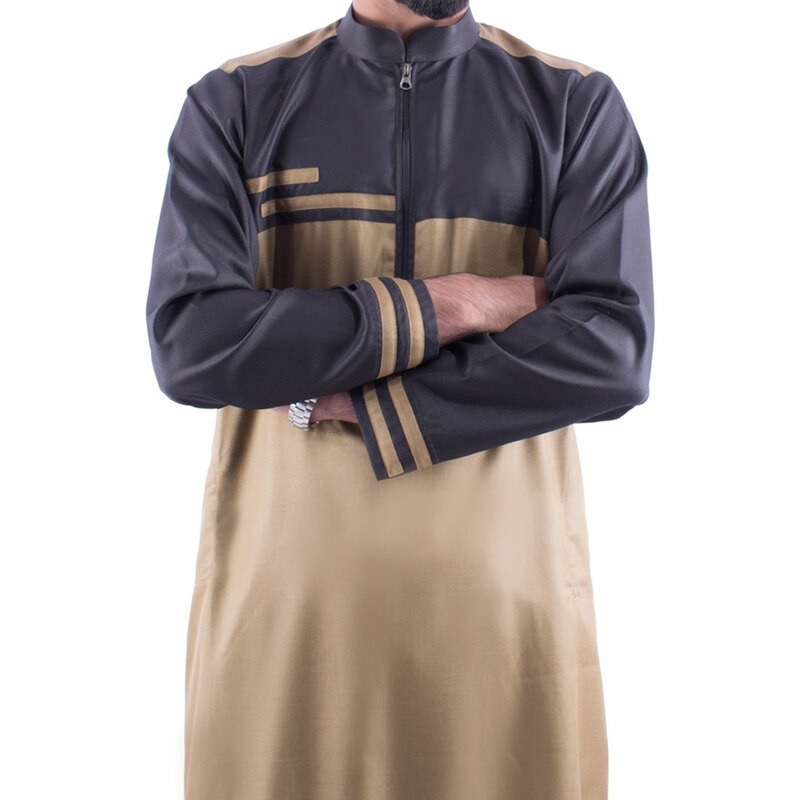 The designer thobe is great for semi-formal gatherings or just about any kind of outing. 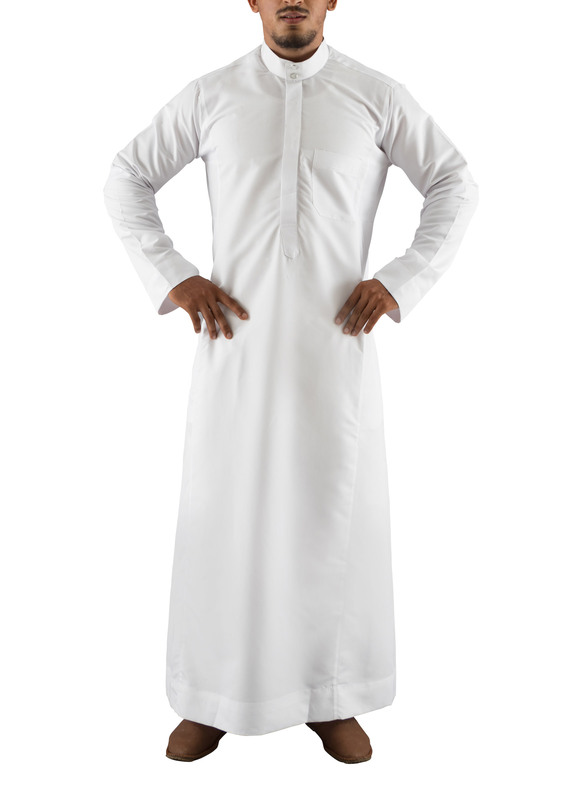 Made from 100% cotton, the thobe is not just stylish, but also extremely comfortable .